Yesterday was the first day of Spring in Tokyo. Although by definition it arrived last Friday with the Vernal (Spring) Equinox, no one is really interested in technicalities, the important question is when has the sakura arrived? Throughout the year, the cherry trees with their tangled branches are an ungainly, even ugly, sight. But when the blossom announces the onset of the hanami parties it's time for people to enjoy a beer under the branches and Spring is here. 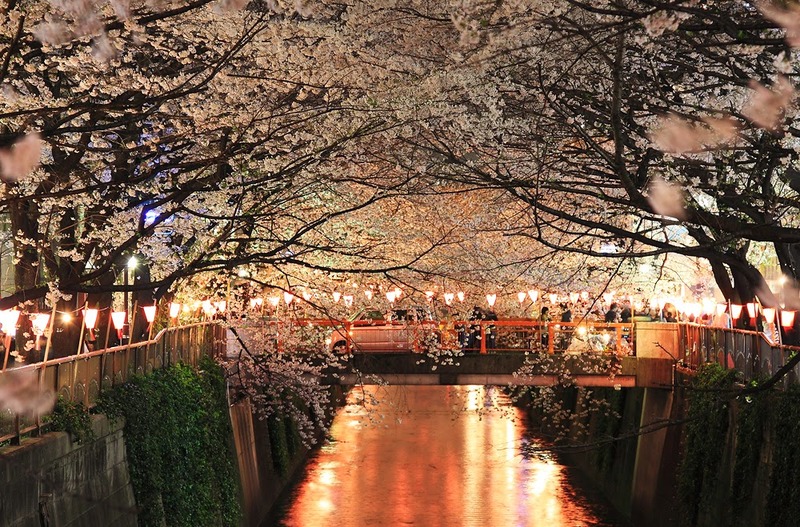 Hanami parties will happen all across Tokyo for the next two weeks. People will take blankets to the parks and rivers and celebrate with friends. Yasakuni Shrine and the walk around the Emperor's palace are famous for their beauty at this time of year but my favourite is a walk along the Meguro River. Although an open concrete storm drain these days, for the next two weeks it transforms. If you have a spare afternoon, there are worse places you could go. Happy Hanami everyone!